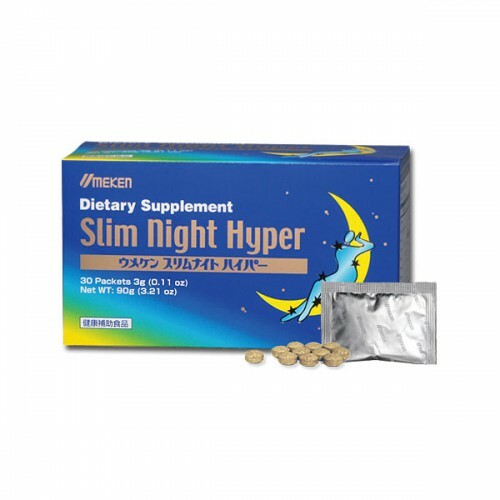 Umeken's Slim Night Hyper is a unique nigth-time diet supplement containing two special peptides (growing of amino acids that is more effciently digested and absorbed) soybean peptide and collagen peptide, as well as five kinds of amino acids. Pedtides or amino acids in essence, have a major role in the body's fundamental metabolism. 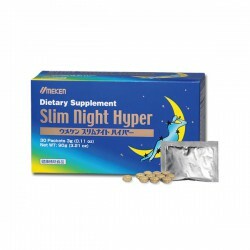 For optimum effect, take Slim Night Hyper as a complement to your regular exercise regiment and proper nutrition.